Noosa Heads is the tourist heart of Noosa district, with many restaurants and hotels. The beach at Noosa Heads has remained a popular tourist attraction since the 1890s. 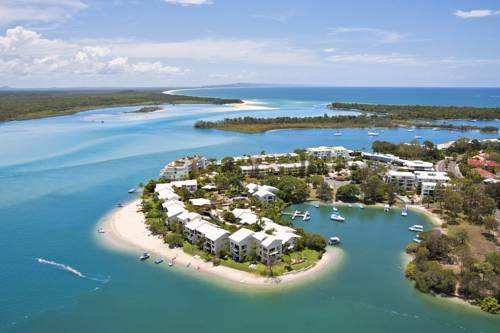 Noosa is one of the Sunshine Coast’s biggest attractions. You’ll be lured to its white beaches, crystal-clear waters and eclectic array of boutique shops along Hastings street, the luxury accommodation on offer and world-class restaurants of every cuisine. The closest airport for international flights is in Brisbane, just a two-hour drive south, or if you are flying in from airports around Australia, there’s a domestic airport at Mooloolaba, just 30 minutes from Noosa. Noosa is a great place to begin your Fraser Island adventure by travelling to Tewantin, along the beach to Double Island Point, Rainbow beach and then the jewel that is Fraser Island.